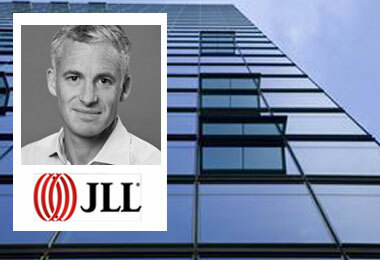 Jones Lang LaSalle, or JLL as it likes to be known these days, has been in growth mode for the past three years, adding people, offices and services as it builds up its Canadian operations to the firm’s international standards. In three years, JLL has gone from about 200 employees to 700 and from four offices to nine and from a total of three or four business lines to about 10, “so that we essentially reflect what JLL does globally in other markets,” explained Brett Miller, JLL Canada’s president. “That has been a process of either adding talent, organically launching new business lines, or making acquisitions,” he added. New business lines include a valuation service and an occupant engagement advisory business. Another offering JLL has on its list to add is property management. Picken is a well-known figure in RE circles as the past-president of NAIOP’s Greater Toronto Chapter. This month, the Chicago-based parent made some Canadian real estate headlines when it acquired Toronto’s HFM, characterizing it as an “industry leader” in building commissioning and energy and efficiency consulting. With that acquisition come 25 HFM employees, including principal owner and CEO Curt Harrison and president Adrian Sluga, who join JLL as senior vice-presidents. Last month, JLL added a hotels and hospitality practice to its Canadian services by hiring two executives, Mark Sparrow and Luke Scheer, who already have a well-developed working relationship and take on senior VP roles with the company. (Sparrow was director of hotels, Western Canada with CBRE Canada, Scheer director of hotels, Eastern Canada with CBRE). At CBRE, Sparrow and Scheer worked on more than 75 hotel transactions worth in excess of $2 billion. In the new roles, they will be part of JLL’s international hotels and hospital service platform. Miller is definitely not done growing JLL, though size is not necessarily everything. “In terms of staff, our aim is not to be the biggest. We aim to be at the high end of the market, offering best capabilities,” said Miller. “I would say at a brokerage level, probably about 150 professionals. (It is at 115 to 120 currently). As for the impending combination of DTZ and Cushman & Wakefield to create a real estate services powerhouse, Miller is philosophical. The new Cushman and Wakefield, along with JLL and CBRE, will make up the big three of real estate service firms on the global stage. In Canada, that competitive set would include Avison Young and Colliers among the biggest firms. Finally, Miller said the economic picture remains murky, echoing the Bank of Canada’s glass-half-empty outlook. “It is difficult to get a read. From the investment perspective, it is stable. The underlying stability comes from low interest rates and really consistent tenant demand. We haven’t seen many bankruptcies or any real pain. That growth is offset somewhat by the energy-led slowdown in Alberta, where capital spending is down and some tenants are trying to reduce their office space requirements.